Delafield WI has it all for you! Great dining and shopping, wooded forests and trails for hiking in NagaWaukee County Park and the Kettle Moraine State Forest, and beautiful lakes along with a thriving business environment make Delafield a highly desirable area for your next home! Boating, swimming, fishing in the summer, cross-country skiing, ice-fishing, snowmobiling and sledding in the winter make Delafield a perfect year-round location for your next home. With convenient freeway access to Milwaukee and Madison and all points between, you are not far away from the bigger Wisconsin communities, but have your quiet oasis to return home to. 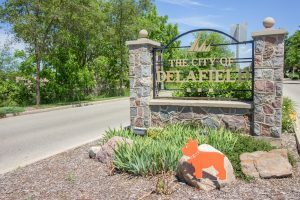 Have a look at the available homes in Delafield below and then take the next step and give the real estate agents at NextHome Lake Country a call!